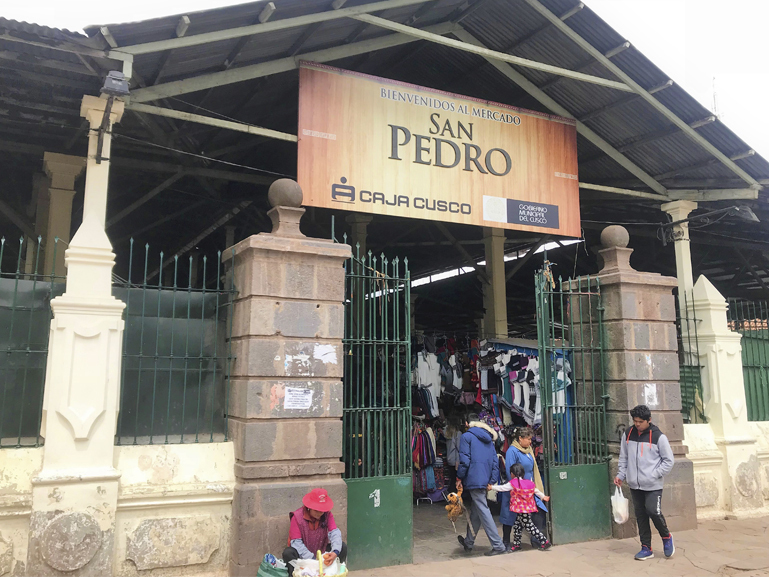 Cusco’s central market, the Mercado San Pedro, is the place to visit to get a glimpse of local city life. 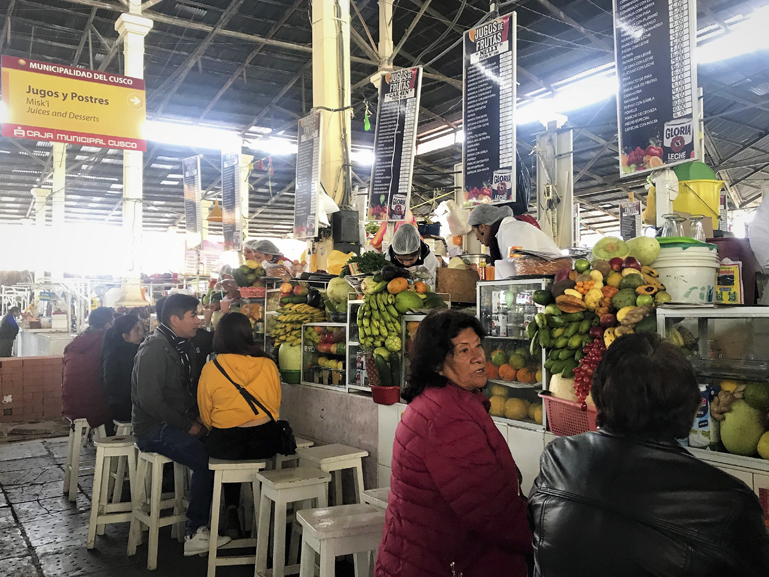 Much more than just a place where fresh produce is sold, it’s also one of the best food hubs of the city, offering breakfast, lunch and everything in-between. 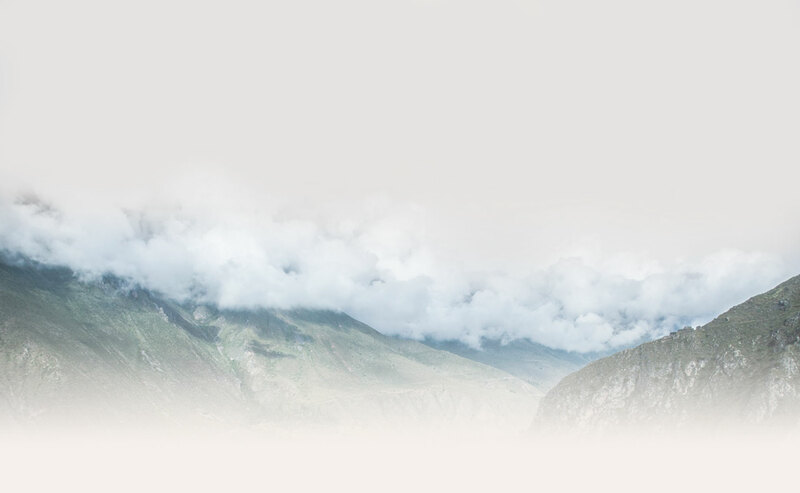 Here´s my suggested tour to get the most out of this special place! Start by the top entrance with a fresh juice to kick start your day. Go for a mix of local tropical fruits, or be super healthy with vegetable extracts. Any combination is possible! Alternatively have a hearty fruit-salad topped with nutritious carob-tree syrup and you’ll be ready to wander on your way. 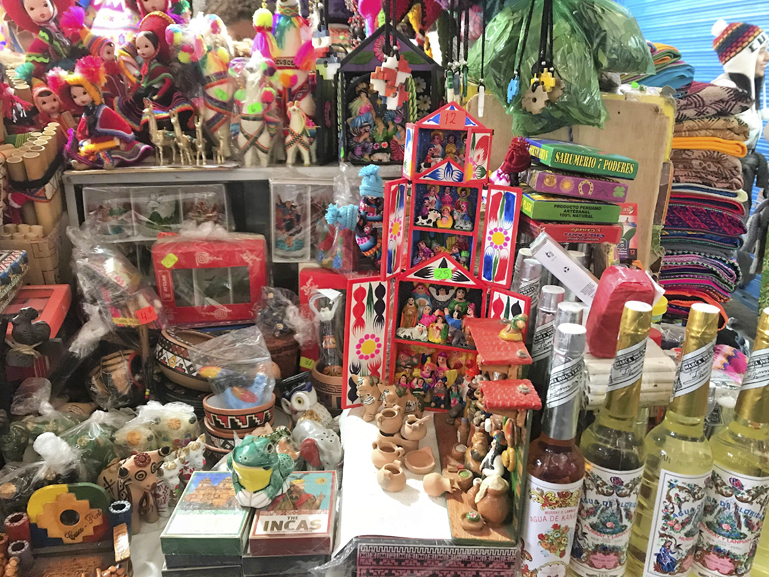 Explore the nearby stalls selling local clothing and ‘lliclllas’ (the shawls for carrying babies) where ladies will alter clothes for you in a matter of minutes. Continue your way down the aisles passing piles of fruits, vegetables, cheeses, breads, spices and all different kinds of flours used to make drinks. You will then find yourself in the hot food section, with flavors and aromas emanating from the all the stands before you. Rest your legs for a moment at one of the ‘snack’ stalls with a tall glass of hot milk to which you can generously add strong, local ‘café pasado’ and have a healthy avocado sandwich or the more indulgent ‘pan con nata’ – bread with a type of fresh, creamy butter. 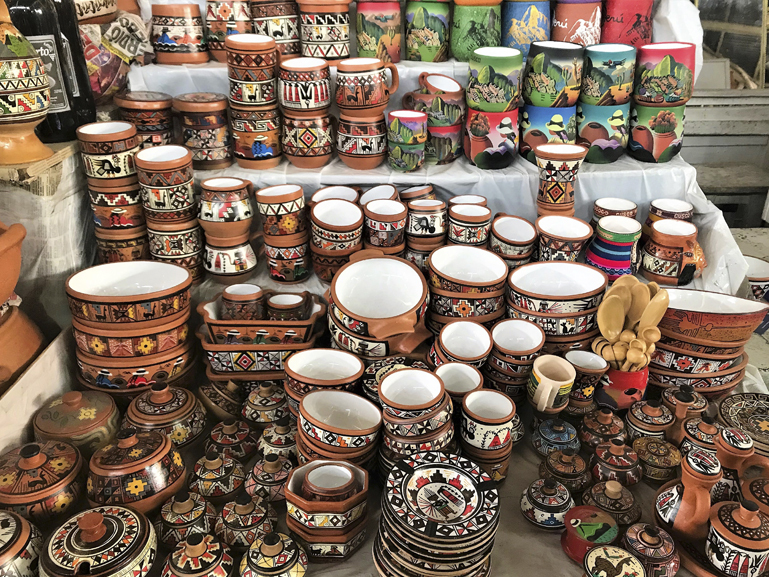 Take in the sights of this busy section, especially the incredible Peruvian potatoes and colourful baskets behind you. 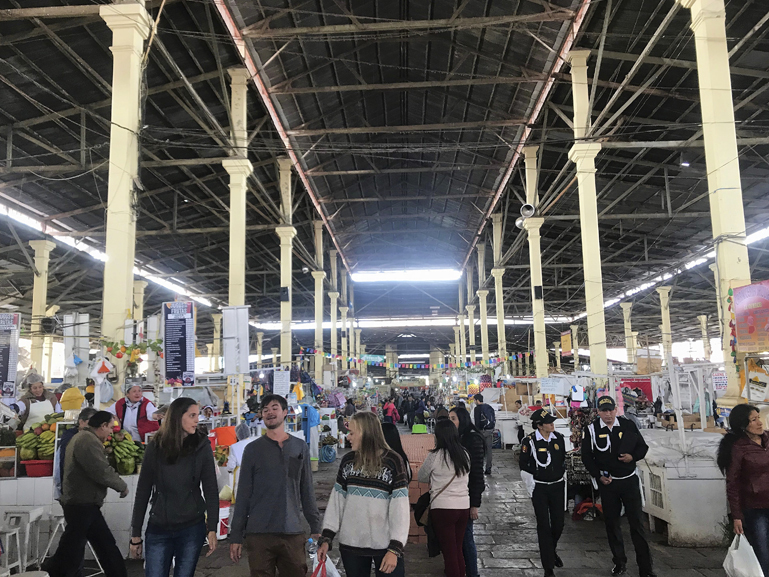 Last but not least, wind your way along the food stalls offering a variety of soups, stews and stir-fried dishes, ending up among the medicinal plant section, still widely used today. 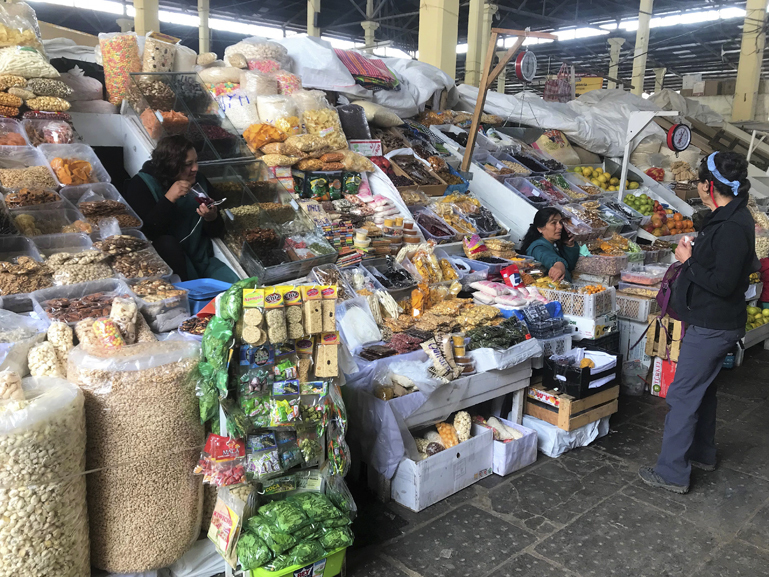 Step out into the daylight again, picking up a tender, boiled corn-on-the-cob as you leave, and enjoy it on one of the benches outside as you watch the hub of Cusqueñan life that is Mercado San Pedro.